The £240m redevelopment of Bracknell town centre has been announced following the completion of a five-year construction project. The brand new one million sq ft (93,000 sq m) regeneration includes the modernisation of existing shop facades, almost 4,000 car parking spaces and upgrades to local transport. Lexicon centre includes 70 new shops and restaurants and a cinema. 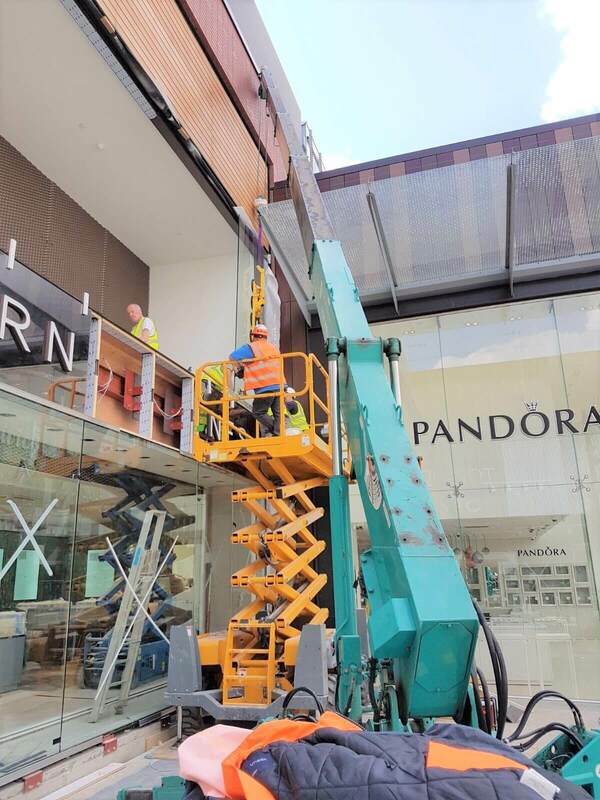 Vacuum and Crane installed glazing into the majority of the new shopfronts including Primark, Ernest Jones, Chimichanga, Tangs, Office, Topshop/Dorothy Perkins, River Island and Waitrose. 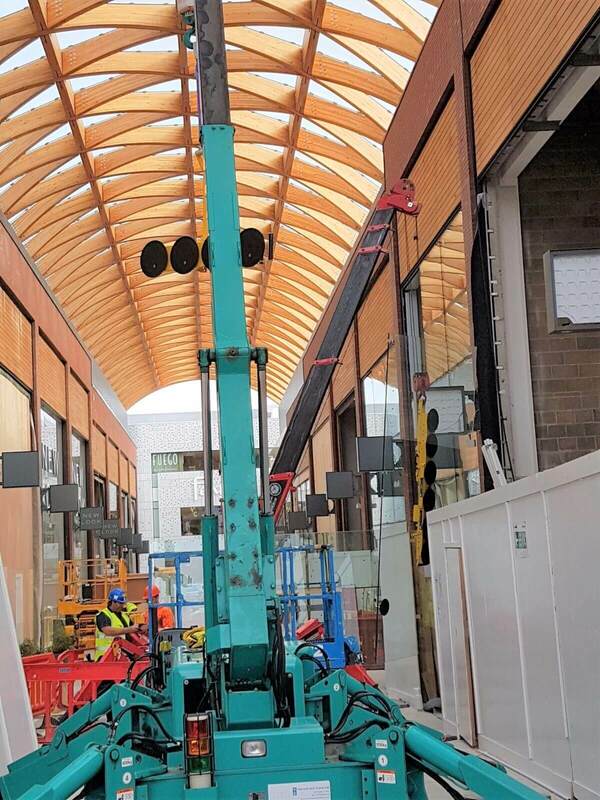 Using our range of mini cranes and glass vacuum lifters, the Bracknell town regeneration project was completed effortlessly and efficiently, working over a period of time on both day and night shifts. 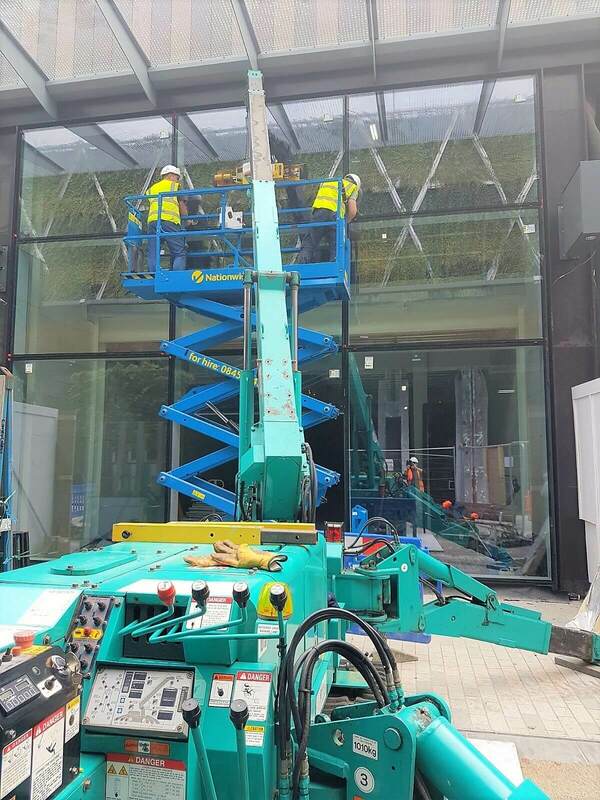 We installed glass panels of up to 340kg into the new shopfronts using both our MC305 and MC285 mini cranes, combined with a variety of vacuum lifters such as the P11104 ‘4-in-line’ and MRT4 for smaller panels and MRT6 for larger glass units. We have a great range of compact cranes available for lifting materials and equipment. When you have minimal room to use a traditional crane, mini cranes are the answer. Used in conjunction with vacuum lifting equipment, they offer safe and speedy methods of installation. They can also be used for factory machinery removals, stone masonry, waterways, landscape gardening and just about anywhere requiring lifting that can’t fit a mobile crane. Bracknell was initially built to help relieve the post-war housing shortage, having been appointed as one of 10 new towns to be built around the country. However civic chiefs determined over 15 years ago that the facilities looked dated and would struggle to attract fresh investment unless d0sramatic changes were made. A third of the old town centre, built as part of a new town development in 1949, was destroyed after disapproval of its Brutalist architecture. If you would like to find out more information or visit this fabulous new shopping centre, please click here.